The city of Charlotte is fast becoming one the best places in the country to live and work. With so much to offer, businesses are continuing to flock to this booming city that has really grown in the last decade. That was not always the case. Charlotte’s transition from small town to major U.S. city did not enter its formative stages until the late 19th century. Local mills began to generate income, jobs and opportunities. And as commerce started to increase, it paved away for another boom in the early 20th century. More mills began to pop up and the textile industry started to take off through the 1920s. But it was not until much later that Charlotte began to attract many modern-day businesses, although its progression was steady and constant. Now, Charlotte is home to many different companies. Wells Fargo and Bank of America have built a strong presence in Charlotte while startup companies have flourished in the city as well. The Cloud Castle Group is among the successful startup companies that have added to the success of the Charlotte metropolitan area. Many companies are also on the move to Charlotte, which means more job opportunities jobs for city dwellers. 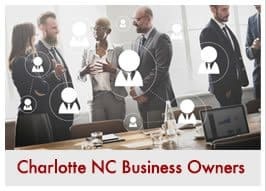 Insurance companies, chemical makers and many other types of companies have seen the value in relocating their headquarters to Charlotte. Charlotte has not only become an epicenter for business, but it has also become an excellent place to work. The average commute is a mere 26 minutes as new freeways have made getting to work a more manageable task. Affordable living has made businesses more inclined to make the move to Charlotte as the median price of a home stands at $161,000. Cost of living is 1.3% below the national average as residents can experience city life without having to pay eye-gouging prices that are synonymous with most major U.S. cities. The school system in Charlotte is highly revered all the way from the elementary level up through the college ranks. This kind of booming environment has opened the door for all kinds of families, entrepreneurs and businesses. Services and goods are also in high demand as Charlotte residents have money to spend. The city has seen a large increase in its population over the past five years and ranked 10th last year among U.S cities in population growth. Forbes magazine recently ranked Charlotte as the No.14 best place for business and careers. 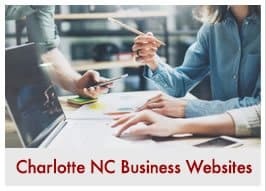 ADD YOUR CHARLOTTE NC BUSINESS TO OUR SITE TODAY!